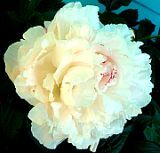 [Ogden, Utah,] may be looking for a few good noses. When it meets Tuesday, the City Council is expected to set a public hearing for a law that would create a committee to sniff out objectionable odors. Ogden’s chief administrator, John Patterson, said the city is not singling out a specific company for enforcement. But there have been complaints about a pet-food factory, American Nutrition Inc. Despite promises, American Nutrition has failed to install an exhaust scrubber on three ovens that bake treats for dogs and cats, Patterson said. “Stench is not the lasting memory that we want people to have in Ogden,” he said. April 13, 2007 Posted by oldstersview | Uncategorized	| Comments Off on Ogden stinks? 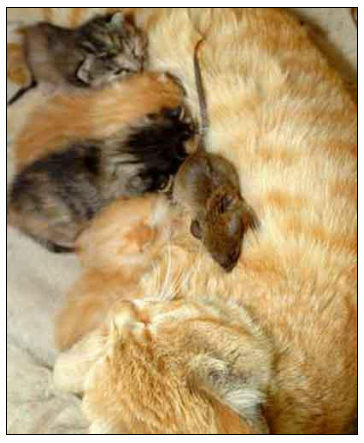 A mother cat in China has adopted a mouse, letting it join her family of newborns. The cat was brought into a children’s clothing store to catch mice, reports Yanzhao City News. Ten days ago, the cat gave birth to five kittens. The store staff threw the mouse out once, but immediately the cat ran to bring it back and let it play with her kittens. Experts say it’s quite exceptional, but that maybe the cat became lenient after becoming a mother.